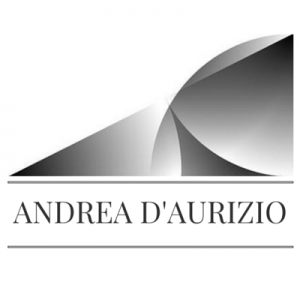 Andrea D’Aurizio designs and creates artworks for individuals, funeral homes, marble workers and architects. It could be sculptures, coverings and furnishings for graves or chapels, statuary stone groups, windows, funerary books etc. 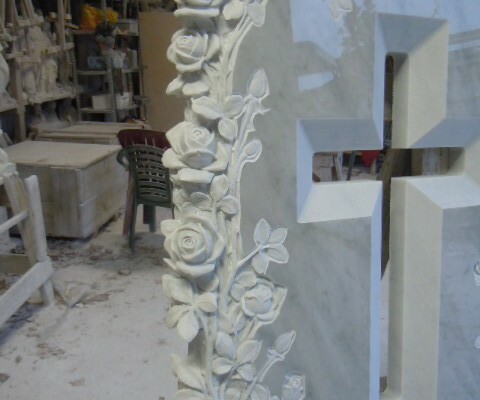 Each creation is unique, thanks to the attention to symbolic details and cooperation with the client who chooses consolidated experience and professionalism. Photos, texts, scrolls and carvings can be used to customize the art works. The expression “Funerary Art” encompasses, in its wider meaning, any work of art which contains human remains. Specifically, it includes cenotaphs (literally “empty graves”), or those works or monuments similar to graves that do not contain human remains but are used for commemorative purposes (such as war memorials). The art of decorating graves with objects goes back to 50,000 years ago when Neanderthal men left items in their simulacra for aesthetic purposes. Many of the most famous artistic creations of the past – such as the Egyptian pyramids, the treasure of Tutankhamen or the Taj Mahal – are graves or objects found in and near them. In the majority of cases, the most magnificent funerary art was produced on the death of nobles or influential people, while the graves of common people included basic monuments and funerary goods usually taken from private assets.